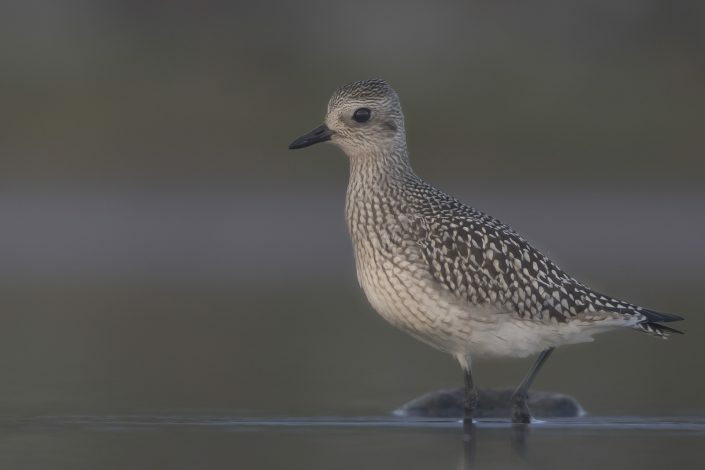 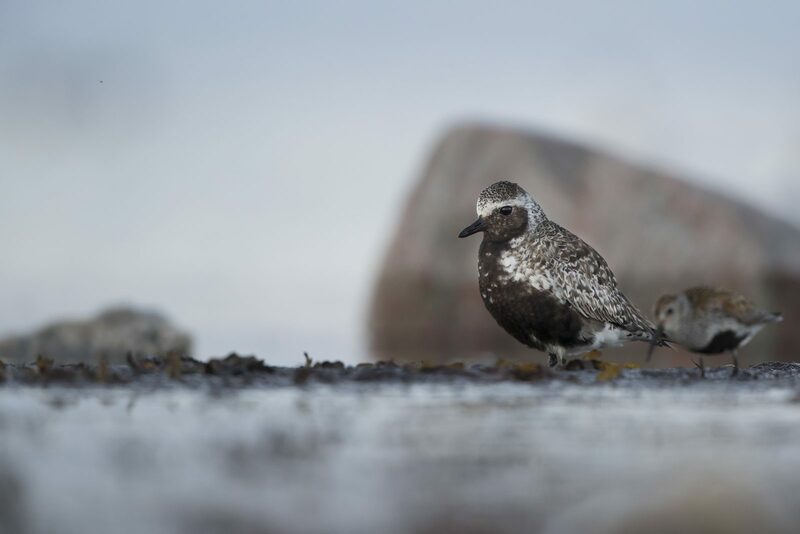 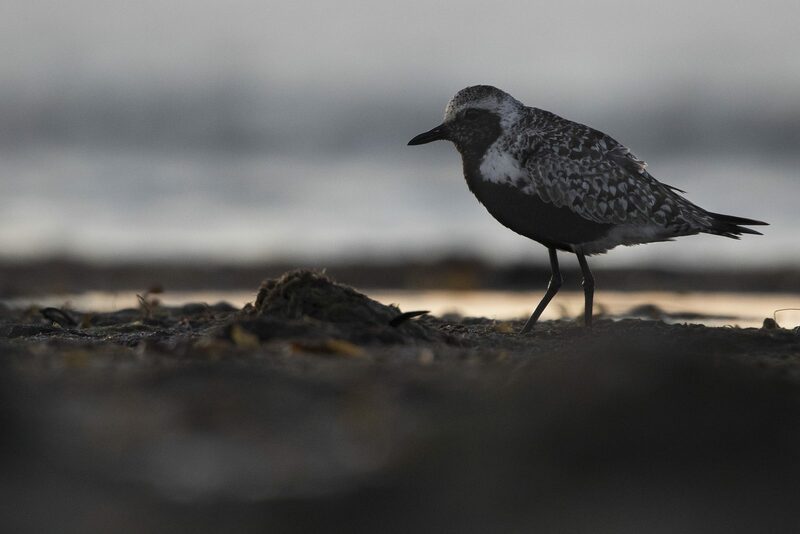 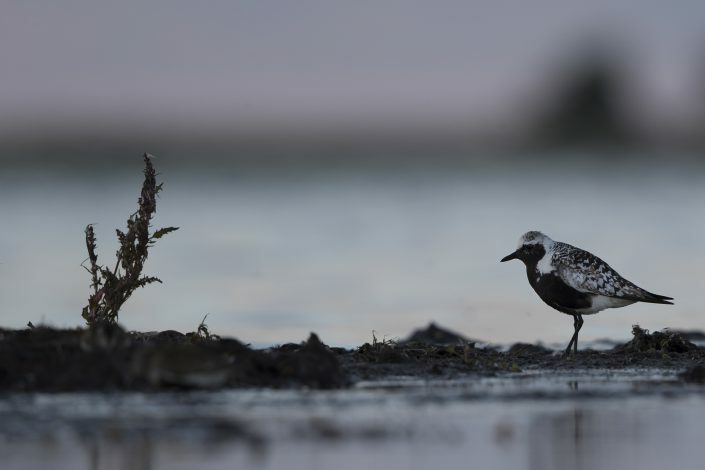 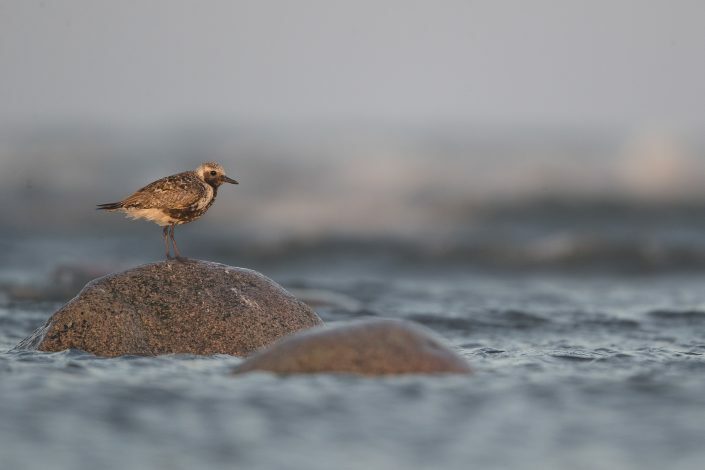 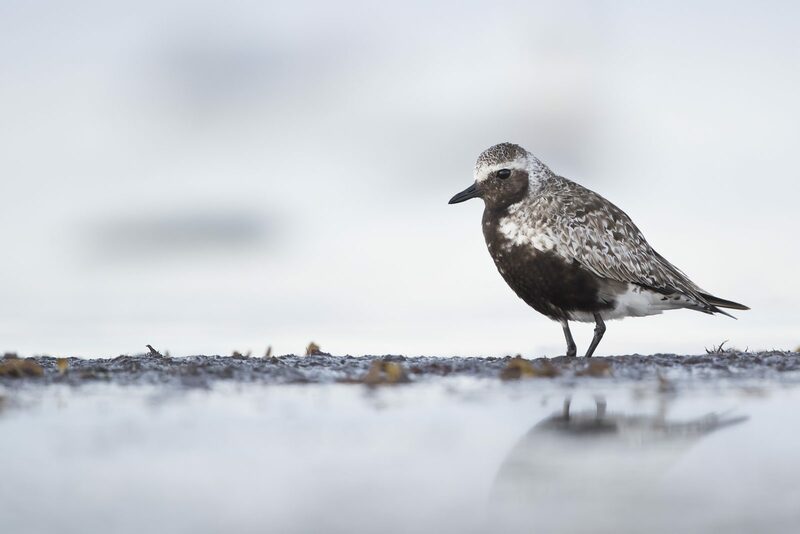 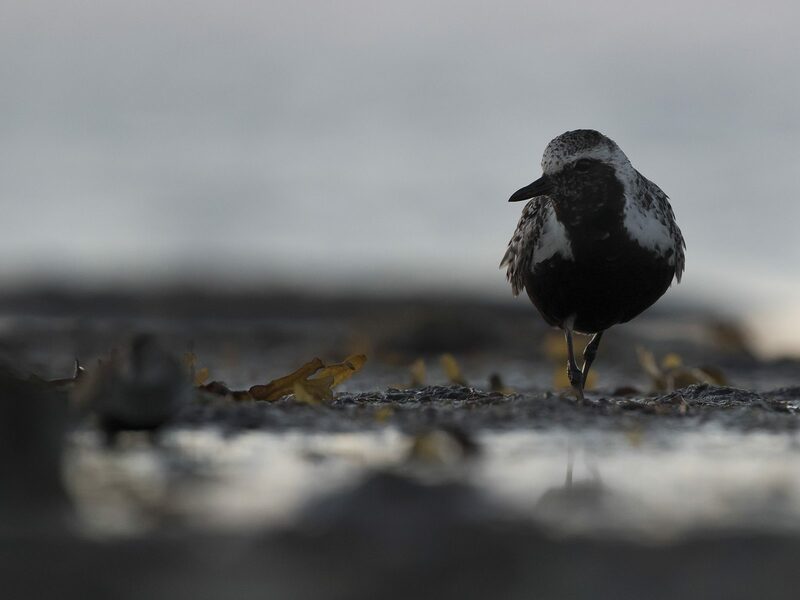 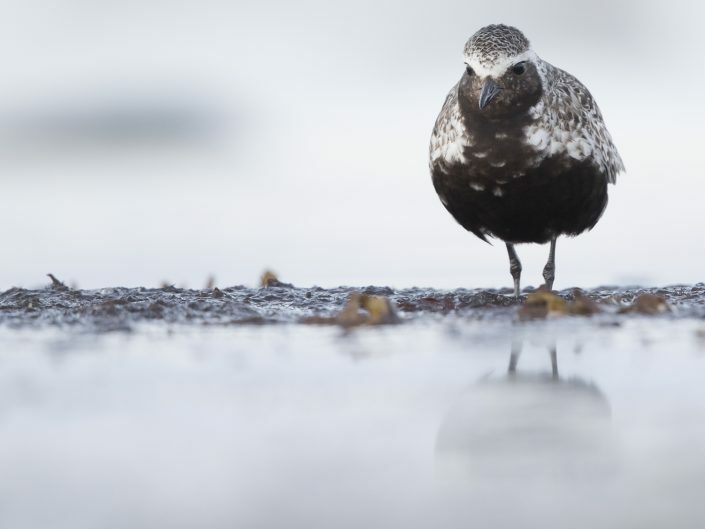 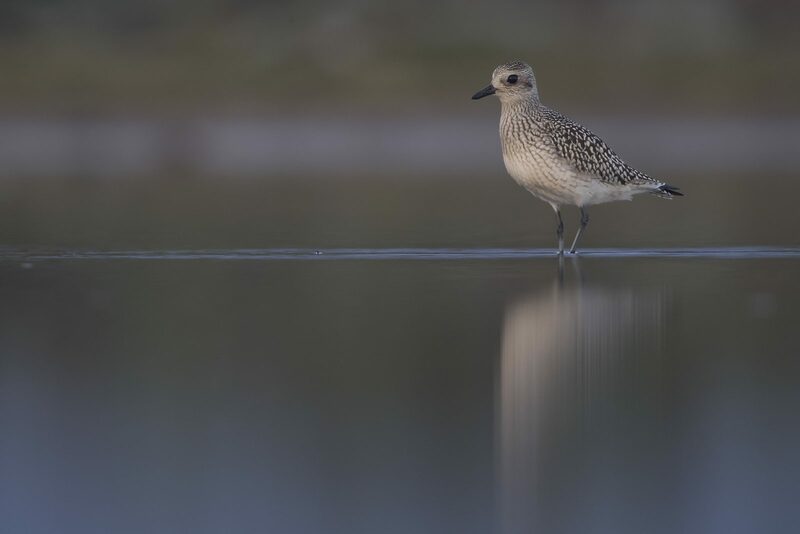 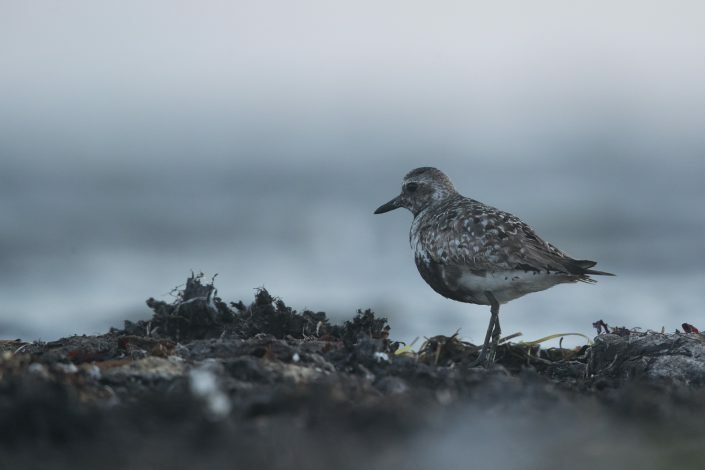 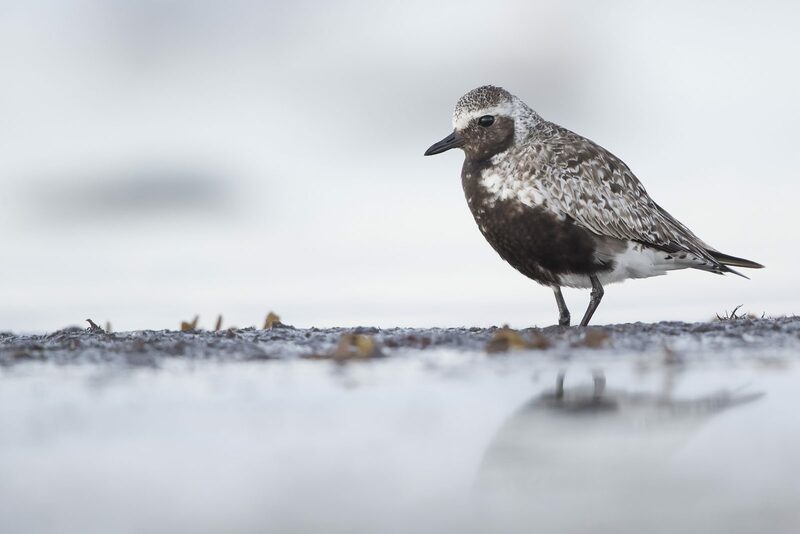 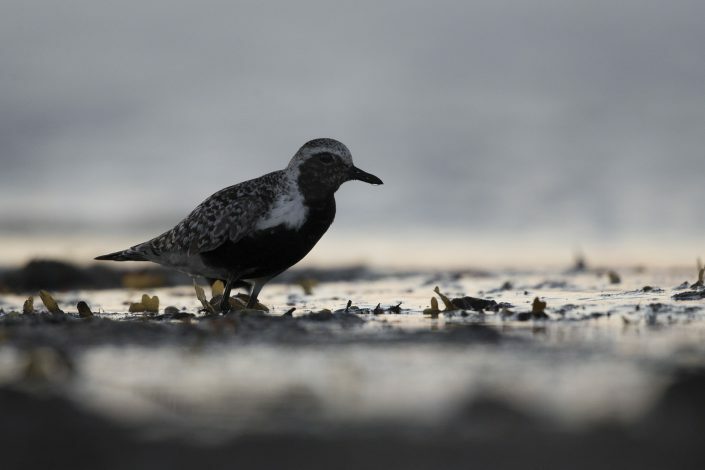 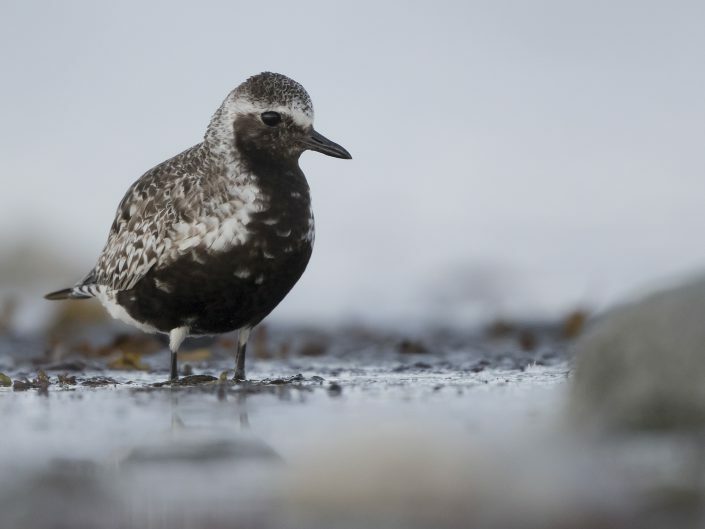 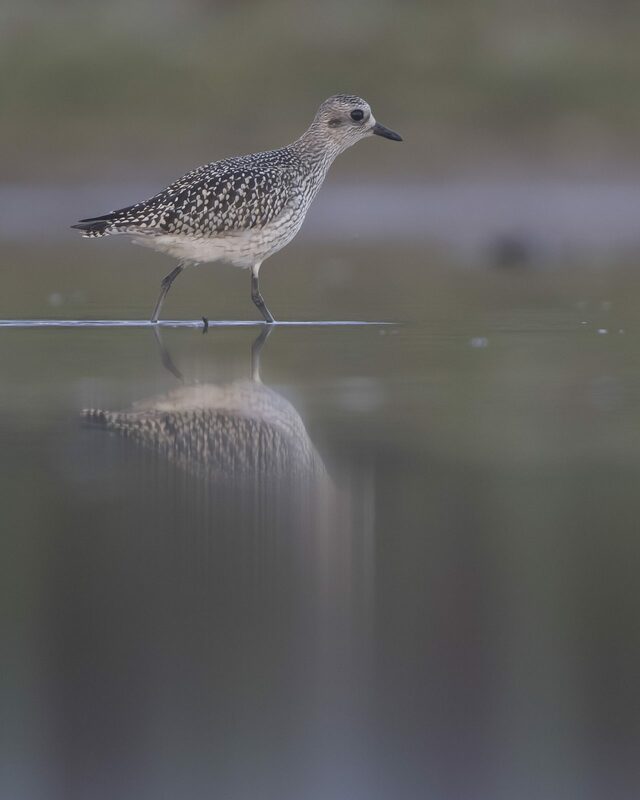 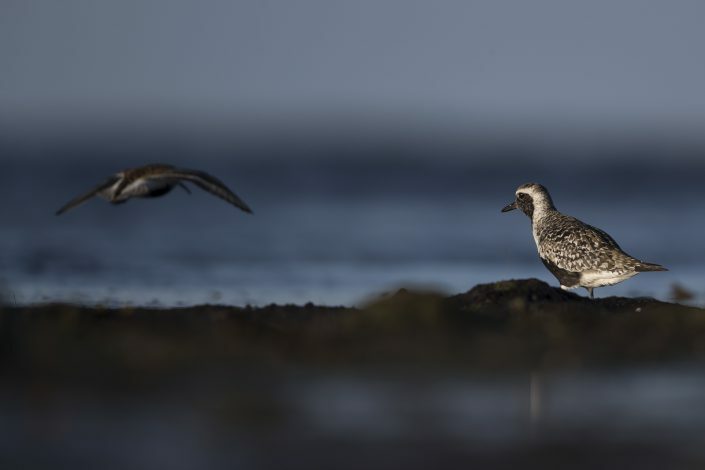 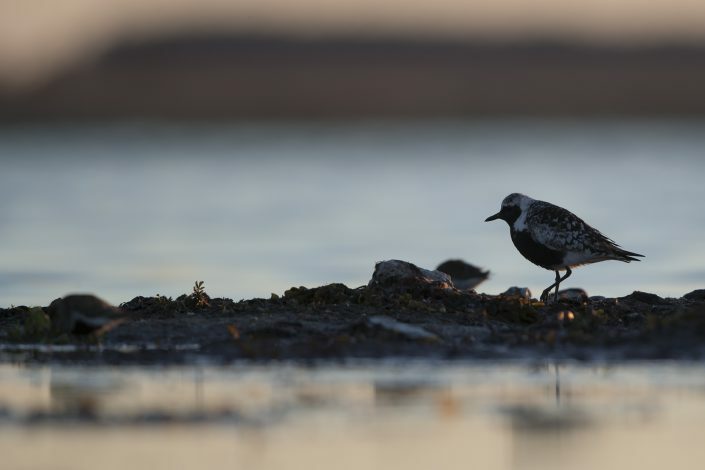 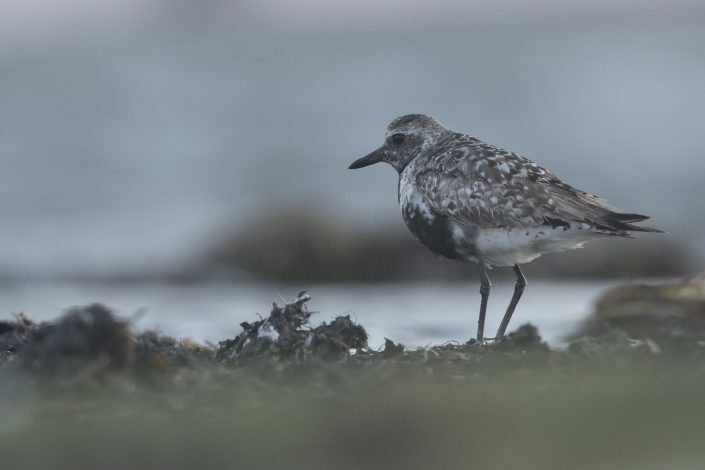 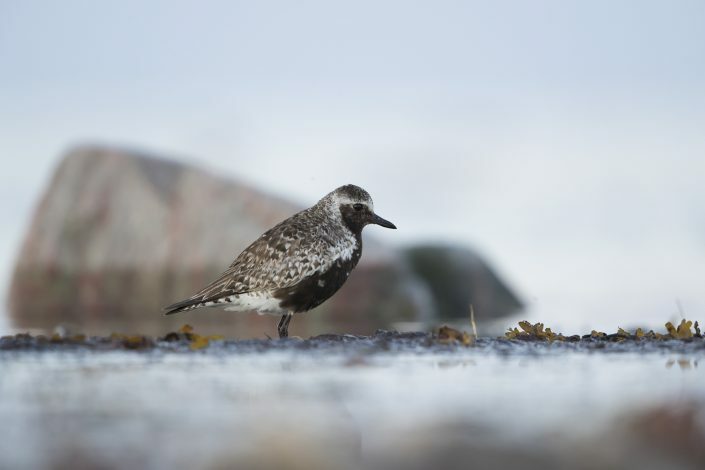 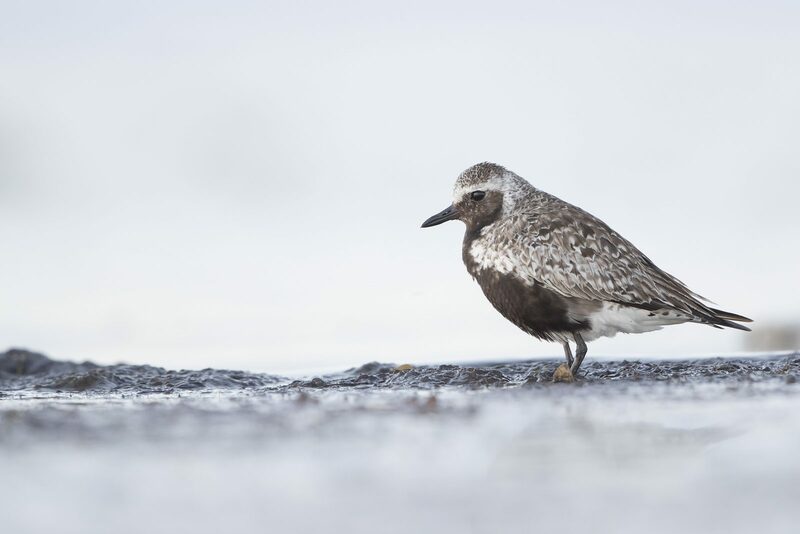 The grey plover, known as the black-bellied plover in North America, is a medium-sized plover breeding in Arctic regions. 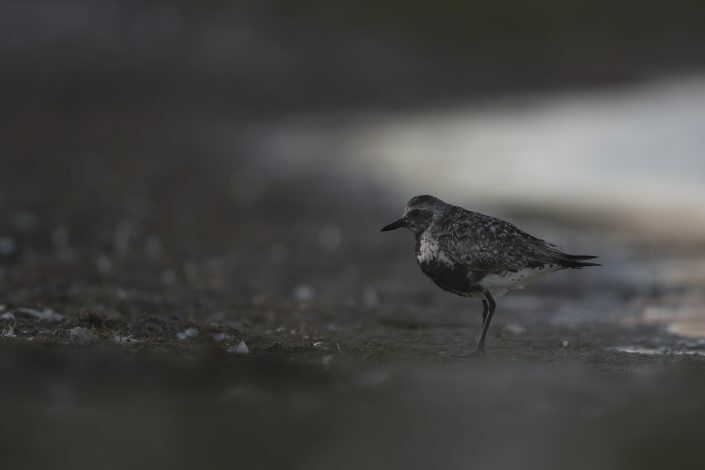 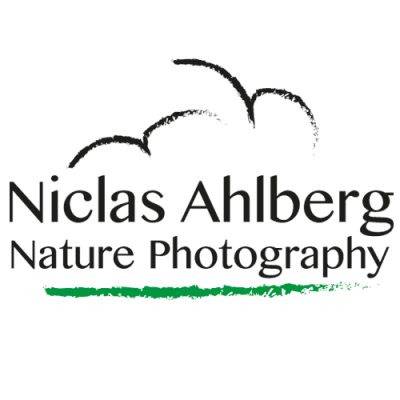 It is a long-distance migrant, with a nearly worldwide coastal distribution when not breeding. The genus name is Latin and means relating to rain, from pluvia, “rain”. 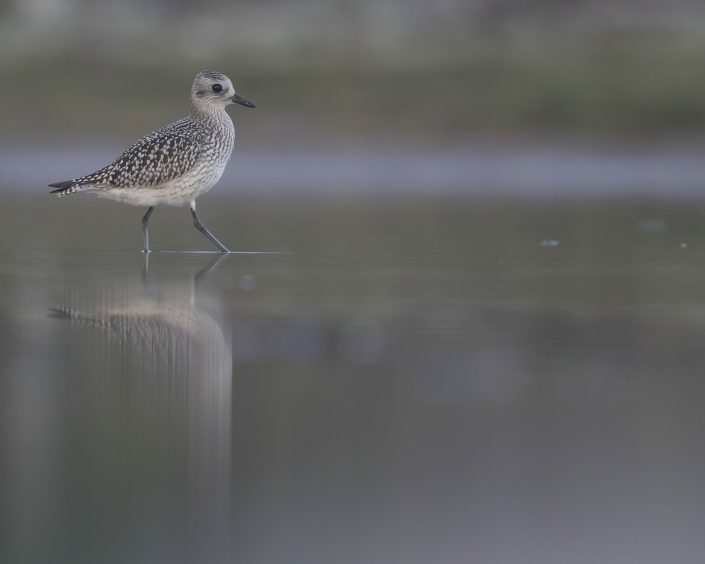 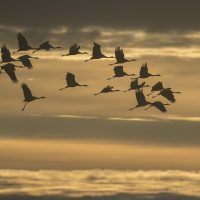 It was believed that golden plovers flocked when rain was imminent. 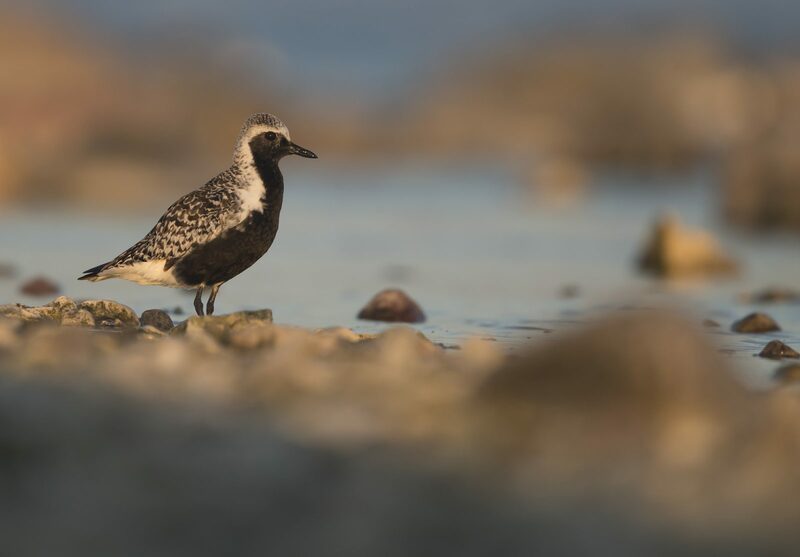 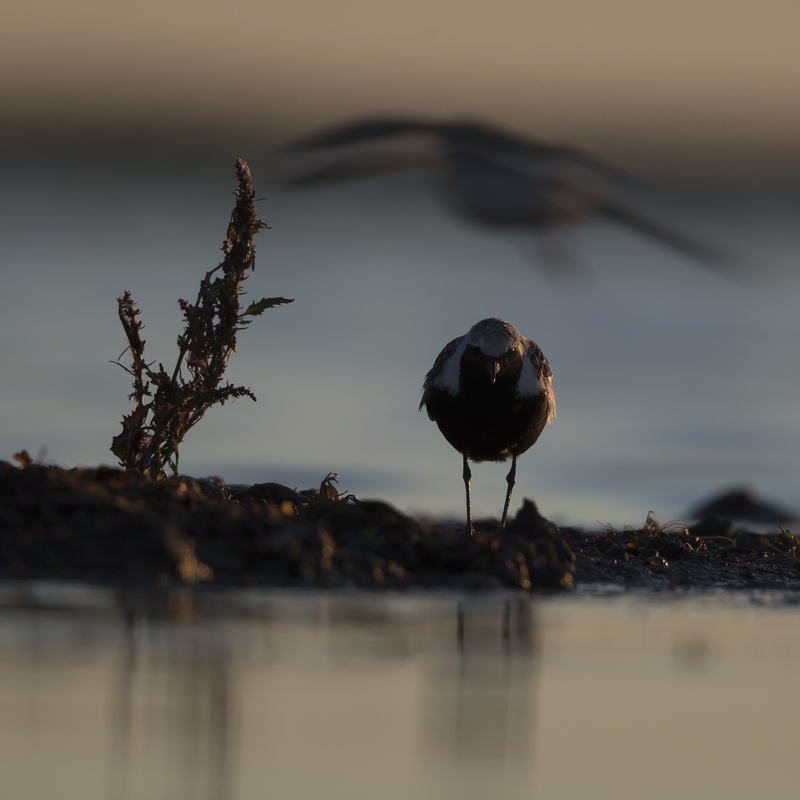 The species name squatarola is a Latinised version of Sgatarola, a Venetian name for some kind of plover.